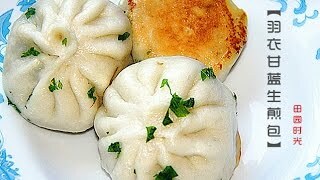 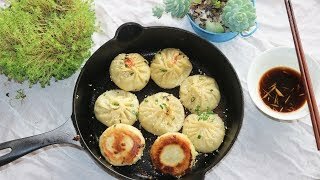 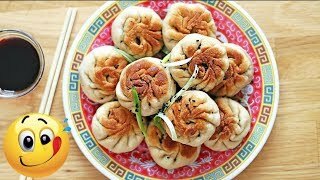 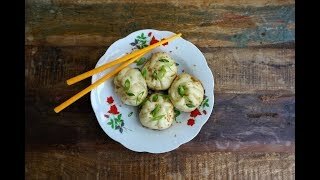 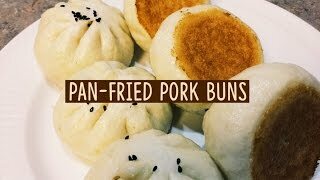 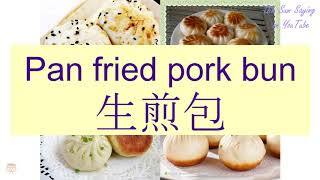 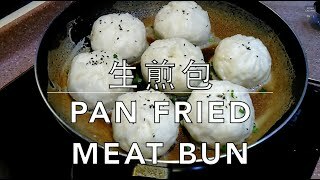 These buns are pan-fried and usually can be found containing ground pork and scallions. 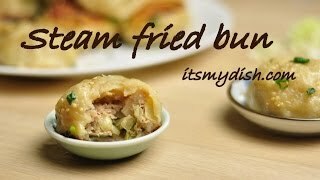 Other fillings can include shrimp and crab meat among others. 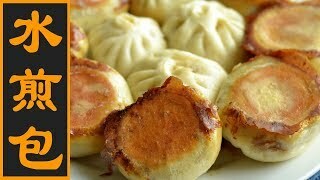 These can optionally be dipped in vinegar, soy sauce, chili sauce, etc.